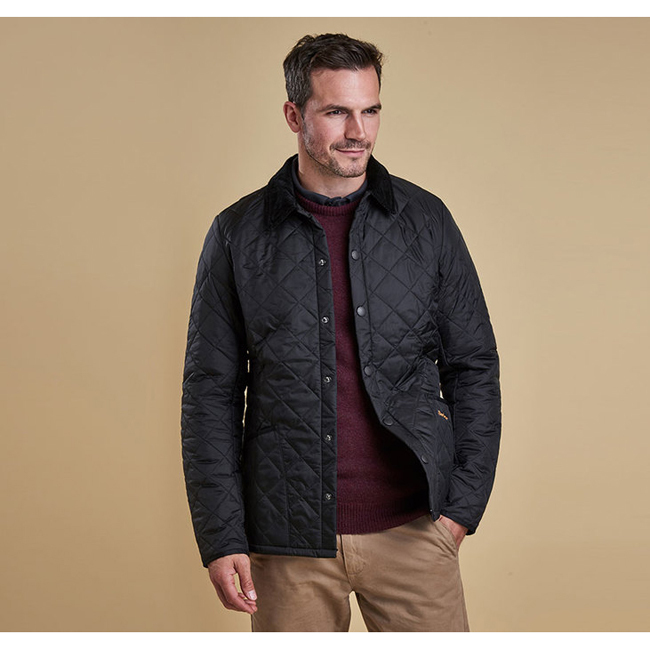 This slim-fitting men’s quilted jacket updates the iconic Barbour Liddesdale for a contemporary tailored look. This warm, stylish jacket is crafted with the Liddesdale’s signature diamond-quilted outer, snap-close front and patch pockets with tonal Barbour embroidery. Corduroy trims the top collar and pocket edges, adding an extra touch of luxury. Jacket is exactly what I was expecting.. Love it.